Otay Mesa Self Storage was built and is operated with the cross-border business customer in mind. Everything we offer or do is to meet the storage needs of our American and Hispanic customers. We understand the unique challenges placed on our customers who are doing business across the border and we partner with our customers to meet those challenges. This customer service starts with our bilingual staff that understands the needs of our customers. We offer pick-up service with our flatbed truck, this is where we drive our truck to your location to pick up your palletized product and deliver it back to Otay Mesa Self Storage where we unload it and you can place it into your self storage unit. We also receive your shipments from UPS, FEDEX, among others and third-party freight carriers. A forklift with a driver is also available for our self-storage customers. Security is important to us at Otay Mesa Self Storage. The access to Otay Mesa Self Storage is through a keypad-controlled entry gate. Each customer has a unique access code that has to be entered into a keypad before the access gate will open. The perimeter driveways are digitally video recorded and there is a manager who lives on-site. 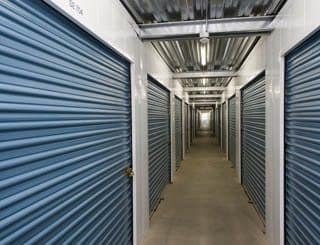 Otay Mesa Self Storage is truly a full service San Diego self-storage facility with the staff, equipment and location to meet all of your self-storage needs.